A slightly unexpected view on the descent from the summit of Beinn Shiantaidh, as I hadn’t known they go up that high. One of the many thousand deer on Jura on the hillside just below the pure scree higher up. 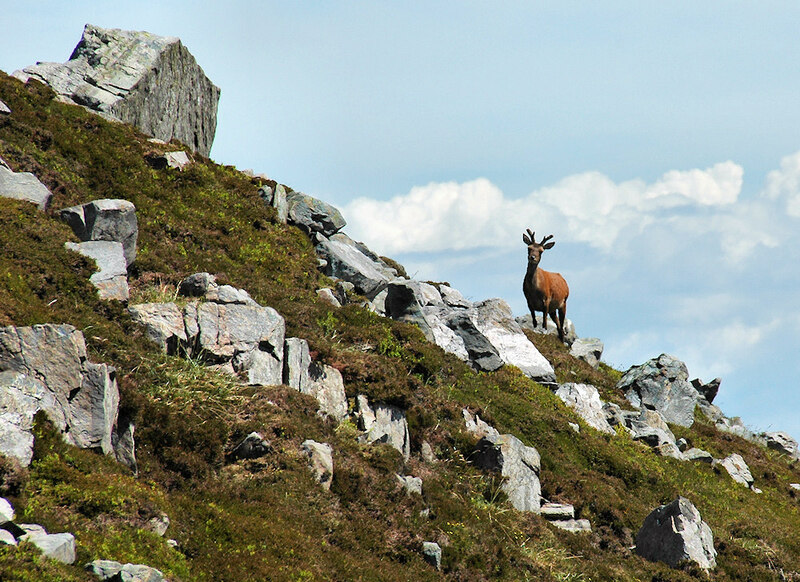 This entry was posted in Jura Excursion, Landscape, Repost, Sunny Weather, Wildlife and tagged Beinn Shiantaidh, Deer, Jura by Armin Grewe. Bookmark the permalink. @WildAndMagic especially that high. Didn’t know they go that high, bit of a surprise when it looked down on me. A magic moment.